Our three to six year olds experience four wonderful weeks of learning this summer on one of 5 locations, with the majority of our students being placed at the Mount Vernon Campus. Additional sites were added in 2017 and 2018 to offer our Summer Educational Program to more communities and families in need. After four weeks of reading, studying, and seeing our special guests, our children were excited to attend school and share their newfound aspirations of becoming doctors, teachers, veterinarians and lawyers. Our goal was and is always to promote higher education among the Latino Community. Children and parents had the opportunity to see college as a real possibility. We completely and enthusiastically support their lofty goals! Our post-testing information indicates that the children are making great strides. Come see for yourself! Email martiza.morelli@losninosprimeroga.org to set up a visit! (Left) Every summer, previous graduates like Ricardo Cardenas return to Los Niños Primero to volunteer and mentor new students. Thank you to The Sandy Springs Fire Department for speaking to us about fire safety and teaching us how their equipment works! Our students learned about reptiles and birds thanks to our Chattahoochee Naturalist! (Above) Special Guests from our local community and other places, come multiple times per week to teach the children about everything from music & art to safety & science! 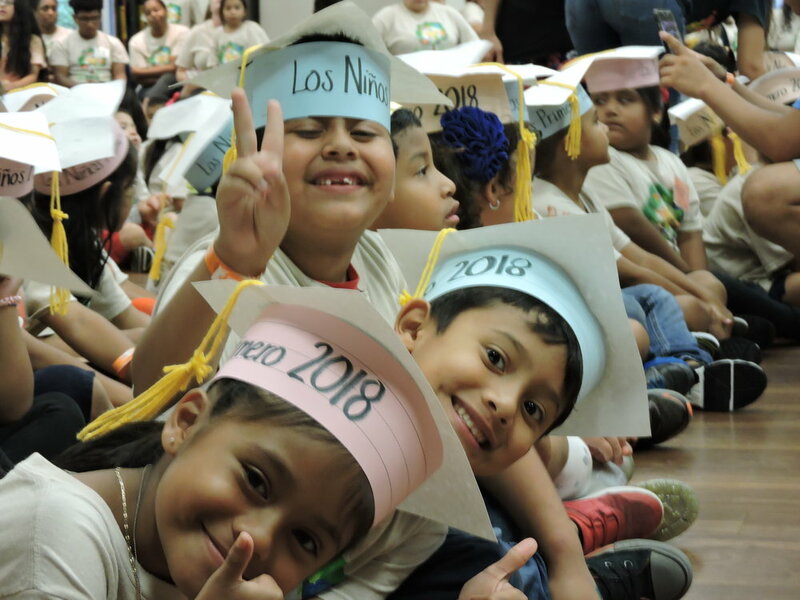 (Right) Los Niños Primero really knows the value of an art education — both academically-speaking and also for a child’s cognitive and emotional development. (Left) Every summer draws to a bittersweet close, as the six year-olds earn their degrees and graduate the program. (Right) Los Niños Primero is lucky enough to have the most devoted, talented faculty of teachers and staff. Many of them have returned for over 5, even 10, summers.